In the comment sections of my posts about Soho’s and Mercury Lounge, some readers and I shared our views on the quality of cocktails served at some of Nairobi‘s most popular bars and nightclubs. In that discussion, Mercury Lounge and Casablanca were named as establishments that were thought to serve good cocktails, while Hidden Agenda and Soho’s came up as places to avoid when in search of a good cocktail. Lately, I have not been too impressed with what I’ve been seeing many establishments pass off in the name of certain cocktails. Because it is trendy to serve (and be seen drinking) cocktails, I find that a lot of East African establishments are great at having all the right cocktail names on their beverage lists, but do an extremely poor job when it comes to actually making these cocktails. In my opinion, the cocktails served are often overpriced, too little (in quantity), and barely have any alcohol in them. One place that I have been to recently, though, that does not disappoint me when it comes to cocktails is Coral Beach Hotel in Masaki, Dar es Salaam. I’ve tried a couple of their cocktails, and each time, I have been pleasantly surprised. Coming to think of it, there’s absolutely no reason for you to limit yourself to drinking your favorite cocktail only when you are out on the town, when you are not completely sure what you’ll get when you order your favorite cocktail and yet will probably still be charged a pretty penny for it. Do you know that it’s quite simple (and very cost effective) to make your favorite cocktail in the comfort of your own home? Although we didn’t keep it up for too long—we both love going out way too much—the experience taught me how simple it is to make even the most complicated sounding cocktail. So where to begin? One of my favorite online resources when it comes to making cocktails is DrinksMixer.Com. I like this website because, here, I can find recipes for a wide variety of cocktails and use cool features such as the ingredient-based search (useful for making cocktails with drinks you already have at home); or the ingredients scaler, which allows me to scale a recipe up or down depending on the number of servings I want to make; and get useful information about the cocktail I am making such as the alcohol content and the average rating given to the drink by other users who have also tried to make the same cocktail before. No clue what cocktail to make first? Well, why don’t you try one of my favorite cocktails, the Strawberry Daiquirí, a fresh fruity cocktail that can be made with or without alcohol and be served both as a slushy (as it’s done so well at Tamambo) or as a liquid (like it’s done at Slims). Here’s a recipe from AllRecipes.com for the slushy variety. Or, watch the video below to get an idea of how to make some of the most common cocktails drunk today. I hope this post has given you a few ideas. If you do try to make your favorite cocktail at home (or at a friend’s home) please let me know how it goes. P.S. To be sure not to miss future posts on ChickAboutTown, sign up to receive posts directly by email. You can also follow me on Twitter or on Facebook for daily musings on living & lifestyle in East Africa. Signing up is free and easy! Previous PostBaked Beans—Delightfully Good!Next PostCorned Beef: Delicious but What Is It Really? Check out Divino on Argwings Kodhek. I haven’t found a place that makes a better mojito. Thanks for sharing about Divino. This is the first time I am hearing about the place and can’t wait to try it out for myself! I’ll let you know that I think when I do. That is certainly the case here in Dar Es Salaam. I think Level 8 Bar @ the Kempinski out shines the rest with their cocktails. Although having been a cocktail bartender in the U.K the bartenders still have a lot of learning. 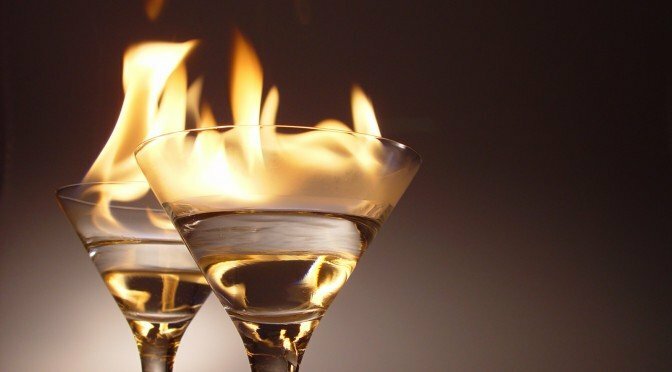 Its really very nice site, even I like cocktail article, as we regularly use to make cocktail at home, now I can make variates of cocktails by reading your websites.